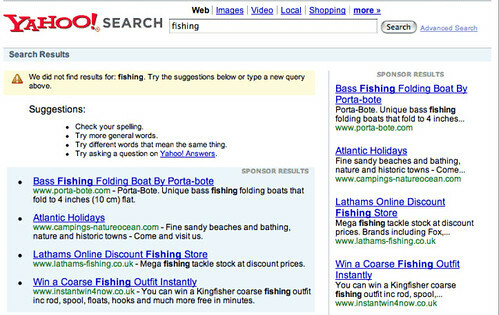 Yahoo Search UK Not Showing Search Results? Home > Yahoo > Yahoo Search UK Not Showing Search Results? But do notice the sponsored results. But if you do the same search at the UK domain and not add the "countryGB" to the end, you do get results.